As a person who reads hundreds of books per year, I must disclose that the fantasy genre is one of my least-favorite genres. For lovers of fantasy, you'll probably read this post and think I'm being awfully blasphemous, but it's the truth! Reading books with characters whose names I can't pronounce as well as reading elf-language and jargon just isn't my cup of tea. For example, Shadow of the Seventh Moon by Nancy Varian Berberick fit the above criteria perfectly. I tried reading the first page twenty times, then tried reading it to my friend, who also had no idea what the f*** it meant. Kudos to people who can lose themselves in a fantasy world so explicit in detail -- I envy you for the great escape! The titles I have featured below are what I consider to be the best fantasy novels ever written! I find them appealing and wildly original, with some elements resembling "the real world", which is probably why I am partial to them in the first place. Please feel free to recommend your own favorites in the comments section, too. Let me preface by saying Connie Willis is one of my all-time, favorite authors in the science-fiction and fantasy genre. Her novels are incredibly intelligent and unique, with surprises around every corner. Passage is about a team of medical doctors specializing in Near Death Experiences, who actually "kill" each other to research and study what happens after you die. 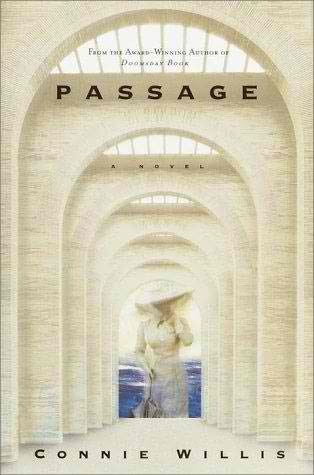 What makes Passage most intriguing is the fact that Willis integrates real-life historical events into the NDEs, making for more perplexing, yet captivating reading. By no means is Passage in any way predictable, even for seasoned readers. Connie Willis again, of course. This novel is a much lighter, comedic tale of fantasy on an entirely different level than the much more intense Passage . 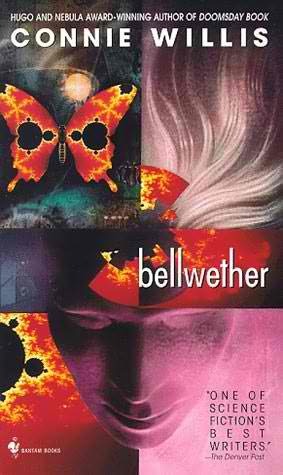 Bellwether is about a team of statistical, analytical and chaos-theory professors who study the effects that fads, trends, and pop-culture have on people. Throw in a flock of sheep as test subjects and a goth girl who ignorantly causes a trend-setting extravaganza and you've got a wildly crazy and surprising plot! Bellwether is definitely tons of fun and will force you to revisit long-forgotten pop-culture trends. This title is the first book in an amazing trilogy about kingdoms and their people; some of whom are descended partly from dragons or more appropriately, Drakhoan. In Lord of Snow and Shadows we are introduced to Gavril Andar, a young man and gifted painter who unknowingly has royal dragon blood running through his veins. Living an otherwise "normal" life up to now, Gavril begins to learn more about his roots and is forced to fight for her late father's kingdom. The Tears of Artamon saga is not only incredibly moving and beautifully written, but stars an amazing cast that grows over time with in-depth character development (which of course is to be expected with such a massive trilogy). Considering dragons and magic run rampant, the novels are tastefully done and will spark an interest even in readers that don't frequent fantasy regularly. Lord of Snow and Shadows is followed by Prisoner of the Iron Tower (2004) and Children of the Serpent Gate (2005). 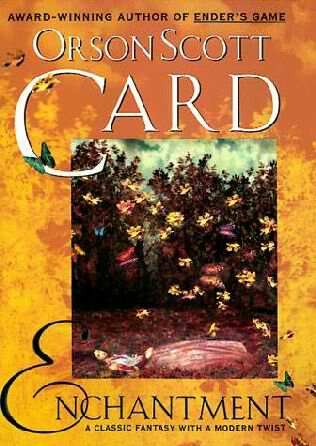 Although Orson Scott Card is quite prolific in his writing, out of all his books I've ever read I've only enjoyed the bestselling Ender's Game (1985) and of course, Enchantment . This novel is loosely based on the fairytale of Sleeping Beauty with some Russian folklore added. A young man named Ivan finds and falls in love with a beautiful princess named Katerina frozen in time in the middle of a forest. Suddenly Ivan is sucked back into 9th century Russia and faced with protecting Katerina from the evil witch Baba Yaga. Ivan then takes Katerina back to present-day Russia to attempt at keeping her safe. With numerous cultural and lifestyle conflicts resulting from such a massive time-jump, both Ivan and Katerina must deal with their differences and barriers to form an understanding and to save everyone involved. Enchantment is a modern contemporary spin on an excellent fairytale most all readers are already familiar with. Poison Study is Snyder's debut, and what an unforgettable novel it is! 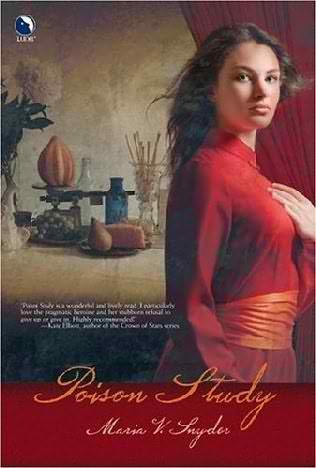 The book is about a young woman named Yelena on death row in the land of Ixia who is made an inexplicable offer. She can either die at the hand of an executioner OR become the king's food taster to ensure nobody tries to assassinate him by poison. To prolong and possibly stall her death indefinitely, of course Yelena chooses to be the poison taster. The premise itself is wholly engrossing, and you can't help but read about Yelena's risks and experiences with trying to become immune to different poisons. For the more romantic fans out there, there is an absolutely breathtaking chemistry between Yelena and one of the male soldiers. Poison Study is followed by Magic Study (2006) and Fire Study (2008).